Digital Satellite Coax Cable with Boot, RG6 18 AWG Solid Copper, 75' ft roll. 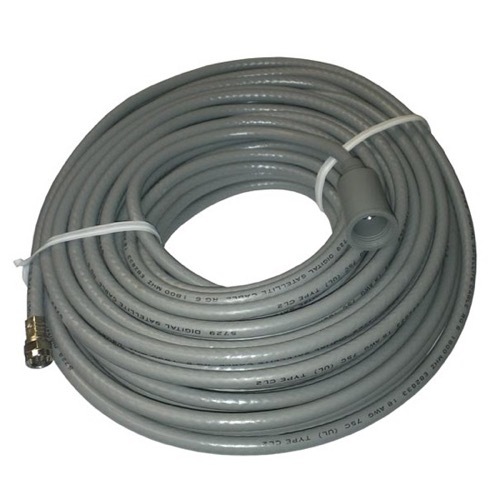 This coax cable with factory installed Connectors, and has a pre-installed weather tight cable protective boot on one end. This item is for use on outdoor installation for that extra protection from the elements. Jacket color may vary.